Too many companies go to trade shows because their competitors are there and they fail to realize that shows create their most qualified leads. Industry stats indicate it takes fewer touches to make a sale from an exhibit visitor. If this is true, companies should be trying to go to as many shows as possible and the goal should be a high lead count of qualified prospects. In this program, Victor Kippes, President of Validar will describe the Five Ways to Increase Qualified leads by 300%. The host is Jim Obermayer. Since 2005, Validar Inc. has helped B2B event marketers better understand and articulate their value. Validar’s goal is to close the loop between event marketing and sales by enabling through technology the ability to driving relevant activity to sales while measuring the performance of each customers event marketing campaigns. With Validar you can now truly understand the economic value of your event marketing efforts. Whether you’re producing a seminar series, user’s conference, lunch and learn, or exhibiting at a tradeshow, If the primary purpose is generating renewed interest in your products and services, Validar is the perfect fit. From capturing leads at tradeshows to managing onsite registration, tracking session attendance, gathering feedback, and providing sponsors lead retrieval they have a full suite of solutions for you. These tools deliver useable data that supports your goals and measures your performance against measurable, actionable objectives. Validar will always provide 100% effort in understanding your event marketing goals and objectives, and our promise is to meet or exceed your expectations at every event. Call Validar at 1-888-784-2929 or text the word Validar to 878787 to learn more. How Managing Leads for Independent sales channels brings big results! Managing sales leads has always gotten its biggest visibility for those organizations that have direct sales forces. But there are advocates that say that managing leads for the independent channel can be just as fruitful and in many cases more so. In this interview Jim LaBelle of LeadTrack software shares why the right software and the right management of leads for the independent channel can be tremendously productive. The host for this program is Jim Obermayer. 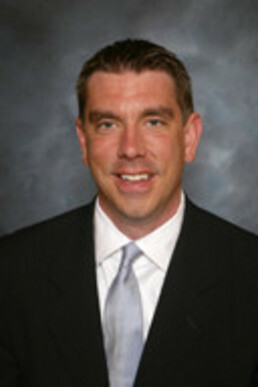 Jim Labelle is the President and owner of LEADTRACK Software. After an exciting career in telecommunications he purchased LEADTRACK Software as a way to reduce travel while staying involved in sales and marketing. He saw an opportunity in LEADTRACK to leverage his extensive experience in sales and marketing to help companies improve the effectiveness of marketing programs and increase sales through both direct and indirect distribution channels. During his career with GTE/Verizon he and his family relocated 14 times as he was given assignments with ever increasing responsibility throughout the organization. He started as a direct sales rep and moved through various positions in sales, distribution, logistics, marketing, customer service and general management. He was given responsibility to manage large regional and national sales teams; business and consumer retail chains; customer call centers with more than 2500 reps and was a pioneer in the launch of the original wireless business model that included using indirect sales partners to meet the exponential growth of the industry. He retired as an area president for GTE/Verizon and was then named CEO of 21st Century Telesis, a wireless startup with markets throughout the US. This broad career background created the basis for many professional service contracts over the next several years with a number of telecommunication clients developing business plans; launching markets and securing financing. In 2004 he purchased LEADTRACK Software recognizing the value of providing tools for large and small companies to manage valuable sales leads, distribution channels and marketing budgets. He also saw the opportunity to provide affordable solutions to all market segments without the need for budget busting monthly user subscription fees. LEADTRACK introduced one of the first sales lead management software programs in 1978. For 40 years LEADTRACK has refined its sales lead management software products to keep abreast of changing technology and to include state of the art features allowing clients to optimize sales lead management functions., from a PC, the Web or any mobile device. LEADTRACK solutions are deployed as either a public cloud solution called LEADTRACK on Demand or in a client server design installed on your premise, within your firewall in your private cloud. Our private cloud application called LEADTRACK Complete is comprised of LT Plus and LT Web, allowing access from any device. LT Plus is the core logic for the management and navigation of the LEADTRACK data base. LT Web is a companion product to LT Plus and allows unlimited login users with no monthly subscription fees. LEADTRACK offers closed-loop sales lead management tool for rapidly and effectively importing, distributing, nurturing, and analyzing sales leads. With just a few clicks, you can evaluate all of your demand generation programs. LEADTRACK also permits integration with backend CRM support tools and other business systems. 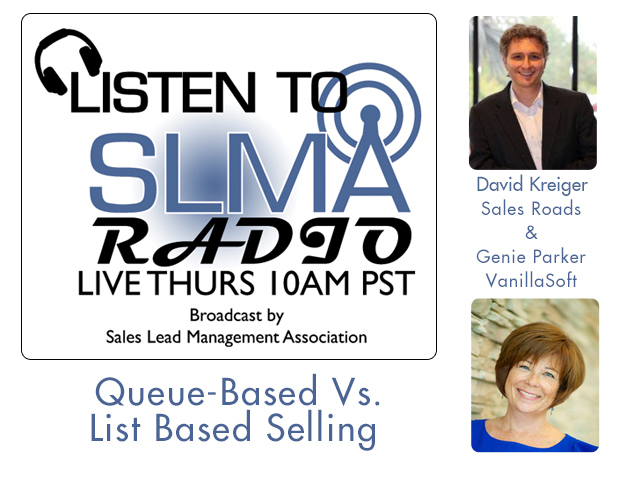 Host Jim Obermayer interviews Genie Parker of Vanilla Soft and David Kreiger of Sales Roads discuss Queue Based Selling and its promises of increased sales productivity. Inside sales positions have grown several hundred percent a year in the past few years (says Selling Power), but is there anything new to manage them and their results. Parker and Kreiger insist that their method of Queue based selling is different, more productive and the users like it better. We'll see. About Genie ParkerGenie brings more than 30 years of experience in sales and marketing with an emphasis on doing business on the phone. Genie comes with a broad experience reaching into hundreds of industries including technology, manufacturing, non-profits, financial services, and business services.Prior to joining VanillaSoft, Genie Parker co-founded Murray and Associates, a remarkably successful boutique outbound call center. Genie's company consistently delivered sales, qualified leads, appointments, marketing and fund-raising services to businesses from The Fortune 500 to small businesses across the United States for 15 years.PMA gained a reputation in the industry with companies looking to carry out highly productive calling campaigns while ensuring a quality customer experience. Her knowledge of technology and the entire phone sales process gives her the ability to bring the two together to give VanillaSoft customers the tools they want and need.Genie has worked at such companies as L'Oréal, Monet, and 1928 Jewelry and holds a B.S. degree in Marketing from The University of Southern Mississippi. The Power of Simplicity VanillaSoft is the industry's leading software for Sales by Phone. Our intuitive and easy-to-use inside sales software takes the best of CRM, Lead Management and Telemarketing applications to create the most productive phone sales environment available today. >VanillaSoft's core philosophy and development process is centered around one concept: The Power of Simplicity. It is through this principle that VanillaSoft offers this platform that allows our customers to see increased productivity, higher contact rates, and sales accountability tools like no other. David Kreiger is the Founder and President of SalesRoads, a business-to-business appointment setting, lead generation and sales outsourcing company. He was recently named as one of The Most Influential Leaders in Sales & Lead Management by the SLMA. David started SalesRoads while attending The Wharton School and received numerous awards for the company while still getting his MBA. He began his career at TradeOut.com, a business-to-business online auction site. David was responsible for creating, managing and growing the inside sales and customer service departments. David has held sales, marketing and training positions at several Fortune 500 companies such as Heinz, Deloitte & Touche and PepsiCo. Prior to going back to business school, David worked in sales and marketing at The Beanstalk Group where he managed the trademark licensing programs for companies such as Ford Motor Company. David has been featured in Fortune Magazine, The Christian Science Monitor and CNN/Money Magazine. David holds a BA from the University of Pennsylvania and an MBA from The Wharton School. Why Branding is vital in creating qualified leads. In this interview, Eric Jacobson, Co-Founder and CFO of Amplifinity, makes the argument that branding and brand advocacy is more important than ever as a source for qualified leads. Eric joined Amplifinity in December of 2011. He currently manages the day-to-day operations and finances of the company. Eric has served as the chief financial executive and managed operations at several venture-backed startups including Translume, Janeeva, Discera and Picometrix. Previously, Eric managed finance and accounting for Comcast’s high speed internet business, when that business unit was in its infancy, working from the company’s corporate headquarters in Philadelphia. He also managed the implementation of a variety of relationship marketing initiatives and customer loyalty programs at that company. Eric is a graduate of Syracuse University and earned an MBA in Finance from The Wharton School at the University of Pennsylvania..
Amplifinity knows that your company is as unique as the consumers, partners, and employees who are loyal to it. We know that the brand advocacy strategy you need is not necessarily the same as your competitors’. But we do know that the end goal is the same whether you’re a B2B, B2C or an agency: to build a customer acquisition channel that works best within your existing infrastructure; to create loyal and accessible brand advocates who will do things for your company because they are given opportunities to do so that come at the right time and in the right place; and to drive sales in the quickest, most efficient way possible. Our clients use our solutions to make that happen. The work we do for our enterprise clients proves that your company’s brand advocates are out there and willing to help. But they can’t help if you don’t ask. Your brand advocates – whether customers, partners, or employees – can become part of your team by referring new customers, endorsing your products and services, and amplifying your messages. AMP makes it simple to ask your customers to spread the word on your behalf. Using their My Account page for tracking their activity, progress, and reward status, brand advocates stay engaged and know they are valuable to your company’s success. The AMP Control Room, as one of our clients says, is the “secret sauce that transformed the way my company does business.” AMP gives brands the control needed to build, track and manage Advocacy Programs. 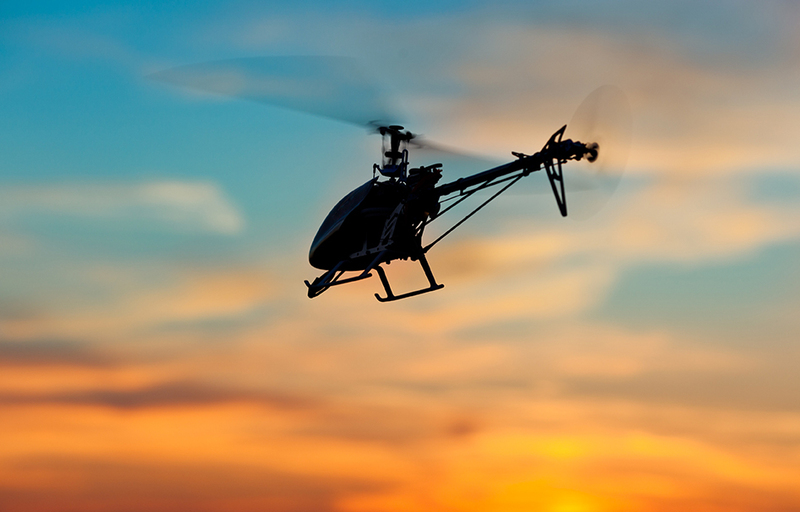 Our powerful configuration and customization capabilities are easy for our clients to use, modify and control. They can configure and control page layouts, workflow, and reward structuring in a few quick steps, and with the guidance of Amplifinity’s Best Practices. The AMP Control Room is the headquarters for your brand advocates’ profiles and customized reporting. Every member of your team from marketing execs to salespeople get exactly what they need through personalized access control. 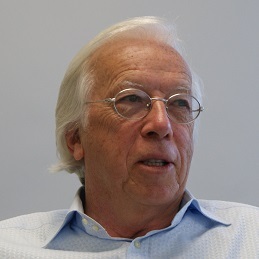 Shawn McLaren, Chairman of ConnectAndSell. In the last interview Shawn told us how a salesperson could have 6-8 meaningful conversations per hour. Maybe this time he will reveal even more. In 2007 Shawn gave up his quest for the perfect golf game because he discovered, as he terms it, a system that liberates Sales Warriors (aka Conversation Pigs) by providing so many conversations with decision makers so efficiently that it removes all excuses for non-performance and brings smiles to the usually harried faces of VP’s of Sales and CMOs. Shawn’s early successes included selling encyclopedias door to door in the Michigan winter and building both code and company for the world’s first mainframe storage system; a system that included security algorithms that rivaled the unbreakability of Navajo Codetalkers and would have stumped the Enigma machines that helped the Allies win WW II. Shawn’s only regret in life is his failed tryout as a pitcher for the New York Yankees in his mid-30s. He is plotting his revenge in the form of a hostile takeover of the franchise thanks to the expected growth and success of ConnectAndSell. Shawn is a founder and Chairman of ConnectAndSell and was its CEO for 3+ of its formative years. Part 2 Should Marketing be compensated on revenue? SLMA Radio host Jim Obermayer tackles the thorny question of compensation plans for marketing. Should Sales and Marketing be on the same plan? If so, is it just the Marketing leader, or the whole marketing department? What about bookings v. revenue as the basis for compensation? Sales is on bookings; marketing (usually) is on revenues, if at all. Are there other metrics that can be used for Marketing compensation plans, such as "qualified leads" or "conversions?" It will be a thought-provoking hour. Both Obermayer and Lundbohm are opinionated, have strongly held, and often sometimes opposing views. 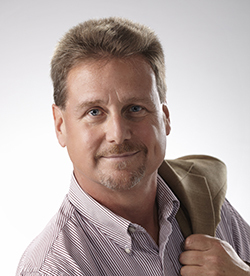 Eric Lundbohm is a B2B marketing professional with over 25 years’ experience in the trenches bringing products to market and growing their revenues. He brings a range of experience garnered from Fortune 500 down to start-up situations across technology, healthcare, information and automotive industries. Eric's main focus is on go-to-market strategies, creating messaging that works and lead generation that can be tracked. He enjoys helping companies hone their marketing strategy and execution to begin or accelerate growth. His experience includes 9 years growing a network security firm from $4 million to $60 million, a dot-com start-up and a dozen years in marketing roles in Fortune 500 firms. He holds a Bachelors in MIS from the University of Rhode Island and a MBA in Marketing from The Ohio State University. Eric blogs regularly on marketing, business and management on his blog at http://ericlundbohm.com/ and you can follow him on Twitter @lundbohm. Part 1 Is this the best you can do? What’s expected from a marketing manager today? This hour of the Sales Lead Management Association’s Radio program is devoted to the question, “Is this the best you can do? What’s expected from a marketing manager today? 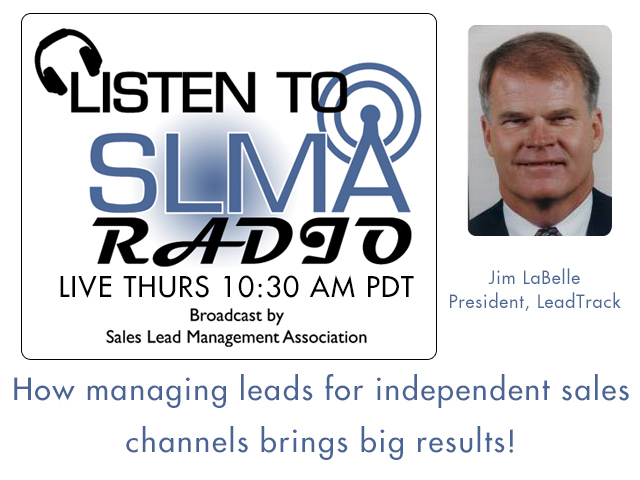 SLMA radio host Jim Obermayer asks, Eric Lundbohm, “Are marketing managers responsible for lead generation? Must they match sales quotas with sufficient sales inquiries? Are marketing managers in charge of generating only qualified leads? Is lead management the responsibility of the marketing manager? What happens if lead follow-up is poor on the part of salespeople, is marketing management culpable for this also? Whose responsibility is it to generate wealth in the company, marketing management or sales management? Maybe both together? It will be an interesting hour. Both Obermayer and Lundbohm are outspoken, opinionated and have strongly held, sometimes opposing views. His experience includes 9 years growing a network security firm from $4 million to $60 million, a dot-com startup and a dozen years in marketing roles in Fortune 500 firms. He holds a Bachelors in MIS from the University of Rhode Island and a MBA in Marketing from The Ohio State University. Modern prospecting dilemma when prospects are too busy to talk to you! SLMA Radio host James Obermayer interviews author Rod Sloane, founder of the 8000 member Sales and Marketing Alignment Group. In a no holds-bared interview. Rod addresses how to talk to people who hide, evade, dodge, elude, skirt, shirk, equivocate and otherwise become invisible even though they have an expressed need. 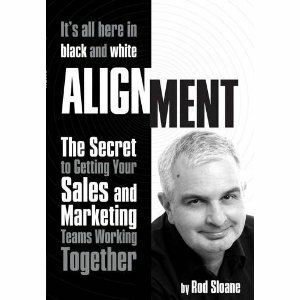 Rod Sloane also produces the UK based “No-Bull Sales & Marketing Alignment Radio Show” available on itunes.apple.com. He is a conference speaker who tackles how companies manage leads, create opportunities and generate revenue. Mr. Sloane is the founder of the LinkedIn Sales and Marketing Alignment Group that has over 8,000 members. SLMA host Jim Obermayer interview Billy Wilkinson, President of Invenio’s Telecommunications Division and tackles the tough subject of metrics that every sales manager should know. Billy has over 16 years of leading strong sales and operations organizations from both Fortune 100 and startup companies. In his current role, he is responsible for strategic accounts at Invenio. Focused on delivering sales and exceeding quotas, Billy uses his sales, financial and operation skills to ensure clients are getting industry-leading results. Billy’s collaborative style, data-driven, and relationship management expertise ensures a partnership-focused approach to every engagement. Billy is a graduate of Schreiner University with a Bachelor of Business Administration and also holds a Master of Business Administration from Sam Houston State University. He has served and continues to serve on numerous boards including: The Wilkinson Center, the Human Rights Campaign, YouthLaunch, and Schreiner University. Read about their history and leadership team to learn more about the wealth of experience at Invenio. SLMA Radio interviews Anderson Crosby president of Relecom, Inc. Host James Obermayer asks Anderson why he developed a reporting tool when so many are available within CRM and Marketing Automation programs. Who uses the tool more, advertisers, agencies or publishers? How easy is to use? What is the cost? What is the benefit of the benefit when using Relecom reporting? With over 18 years of experience working with Fortune 500 marketing teams, Anderson has developed and managed direct and digital marketing strategies and programs. Anderson is a recognized expert in Digital Marketing Metrics and an active speaker at trade show events on topics ranging from Digital Marketing Best Practices to Digital Marketing Metrics. His work has been featured in BrandWeek and Communications World, and his work has also won various industry awards including the DMA International ECHO Award, MarCom Creative Award, and the Web Marketing Association’s Website Award. Relecom provides digital marketing measurement services to advertisers, agencies, and publishers. Their online reporting system provides an independent, real-time view of your marketing activities throughout a variety of digital channels. Actionable information is provided to you in up to daily reports, allowing you to spend your marketing dollars wisely. Smackdown McDade vs. Obermayer Do Salespeople Need More Leads? McDade contends that salespeople need fewer leads. Obermayer contends that without sufficient leads companies die. In this classic battle of opinions, McDade of PointClear pushes the edge in arguing that salespeople can get by on fewer leads that are qualified. Obermayer CEO of the SLMA says that is a pipe dream and a recipe for disaster. Maybe they are both right, or one is very wrong. Listen and find out. January 10: Why you need interactive proposals and cost for doing it! SLMA host Jim Obermayer interveiws Isaac Pellerin of TinderBox. Isaac will discuss why proposal creation is easier than ever before, why it should be software as a service and the cost involved in starting up and using proposal software. Isaac Pellerin is the Revenue Marketer at TinderBox, a Software as a Service that makes it easy to create, manage, and track interactive proposals. He loves a good story and enjoys working to enhance the way companies engage with their prospects and customers. He believes that marketing and sales are at their best when they have shared goals and metrics. About TinderBox: TinderBox is an Indianapolis based software-as-a-service that helps you get to yes faster with a smarter, simpler, and more efficient proposal and marketing communications process—one that builds lasting business partnerships. Founded in 2009, TinderBox has become the choice for sales and marketing organizations such as Angie's List, Gannett, and Accenture Life Sciences to create compelling proposals that get to "yes". Research on Lead Scoring, all prospects are not created equal! 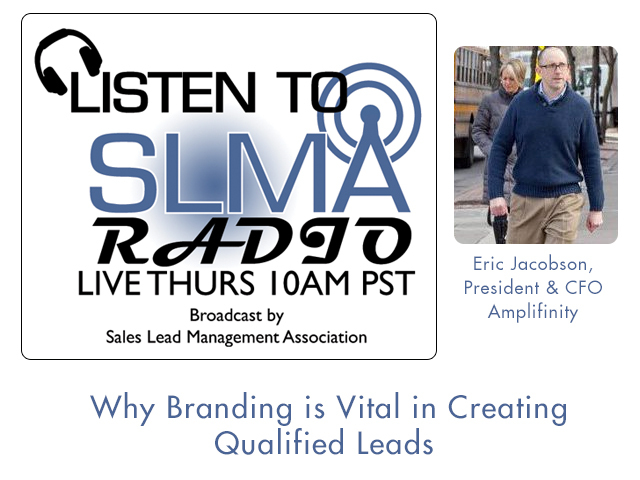 SLMA Radio Host Jim Obermayer interviews two executives, David Nachman and Jorge Jeffry from Leads360 on two of their most recent research reports “The Ultimate Contact Strategy, How best to use phone and email for contact conversion and success!” and “Lead Scoring 101 Leverageing Lead Quality Insight to Improve Conversion and Enrollment. ” We will tackle the highlights of each study in our 45 minute program. Leads360 is a market leading provider of cloud-based lead management and sales automation solutions solutions proven to deliver smarter, more efficient sales processes for improved conversion rates. With unmatched expertise, drawn from a dedication to helping more than 5,000 clients automate and improve their lead distribution, response and conversion processes, Leads360 has become the platform of choice for organizations focused on improving customer acquisition and business performance. Leads360 is a privately held company, recently recognized as one of the fastest growing companies in North America by Deloitte. Please visit www.Leads360.com for more information. David Nachman is an experienced and successful technology industry executive, having spent the majority of his career developing and executing effective growth strategies, both as a senior executive and as an advisor. Prior to Leads360, Mr. Nachman was an Operating Partner at Marlin Equity Partners, a $1 billion private equity firm. Previously, he served as CEO of Phoenix Energy Technologies and was one of the early senior executives at HireRight, Inc., where he was responsible for Marketing, Product Management, Business Development and Strategy. Earlier in his career, Mr. Nachman spent six years as a consultant at McKinsey and Company, and worked as an investment banker at Donaldson, Lufkin & Jenrette, and Kidder, Peabody & Company. Jorge Jeffery joined Leads360 in 2011 as Senior Manager, Strategic Intelligence. Mr. Jeffery has been instrumental in mining data from the more than 40 million leads managed through Leads360. Insights gleaned help establish best practices for Leads360 client schools that want to drive smarter and more efficient recruiting and enrollment processes.